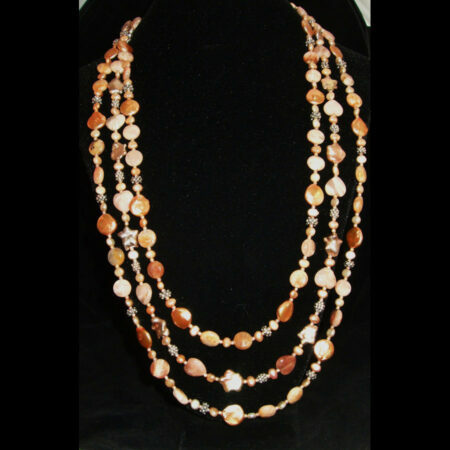 Pictures really don’t do justice to this fabulous 3 strand hand beaded necklace featuring beautiful Oregon Sunstone, pink Jasper hearts and copper colored Freshwater Pearls! Sunstone is a relatively new stone from my home state of Oregon. It has fascinating schiller to it and shows streaks that look like sunshine running through it! In addition, I’ve used some darling pink Jasper heart shaped beads, along with coppery colored Freshwater Pearls. Some of the pearls exhibit a star shape to them. 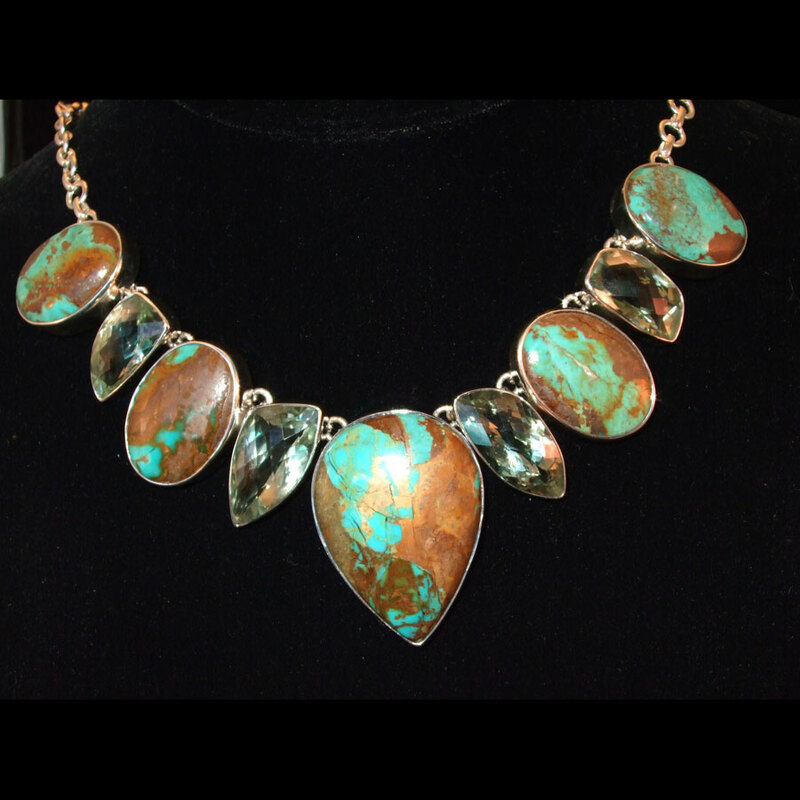 Sterling Silver spacer beads are used in between. 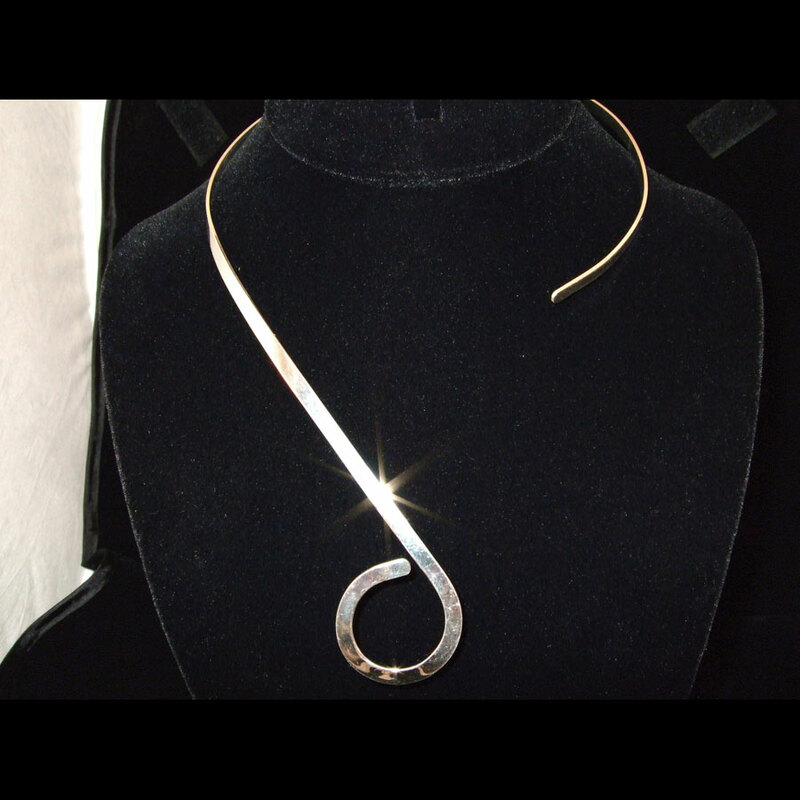 This is a longer necklace, with the longest strand being approximately 31″ in length. 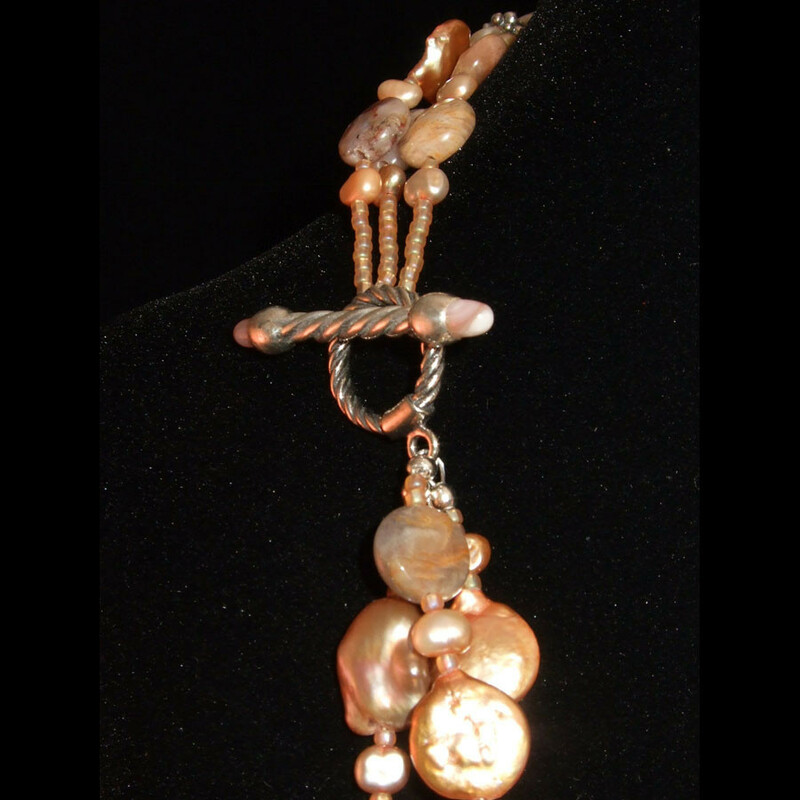 A gorgeous matching inlaid toggle clasp completes this beautiful peachy, coppery colored piece! Comes with matching earrings! Better buy it today before I decide not to part with it! It’s gorgeous! !